Originally posted on Lunch.com on August 1, 2011. This list is dedicated to fellow sci-fi, fantasy, and classic special effects enthusiast Karen (QUEENBFLIX). I hope this will give her her Harryhausen nostalgia fix. 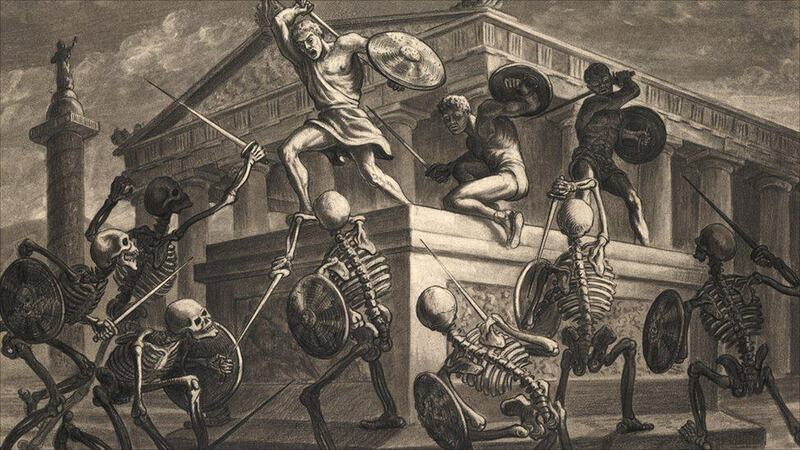 Ray Harryhausen’s original concept art for the climactic battle in “Jason and the Argonauts”, which sees Jason and his fellow adventurers battling skeleton warriors. When I think back on the history of special effects in films, there are a select number of people who immediately spring to mind for their resourcefulness, their innovation, their creativity, and their audacity to go beyond the boundaries of what has been done before without knowing whether their efforts will end in success or failure. It requires a great deal of imagination and patience to create scenes of fantasy and spectacle that are realistic enough to enable viewers to suspend their disbelief while at the same time providing them with a uniquely heightened quality that reminds them of the wonders of the motion picture medium. Of the many great special effects artists that have risen in prominence, it’s hard to imagine anyone as celebrated and inspiring as Ray Harryhausen. It’s rare for a person who works behind the camera to receive the same kind of acclaim and kudos of those who are thrust into the spotlight. Additionally, it’s not often that a special effects creator is even more revered than the directors, writers, and actors with whom he has collaborated. Yet Ray Harryhausen has achieved this kind of fame through his technical wizardry and his generosity in giving moviegoers what they crave: adventure. 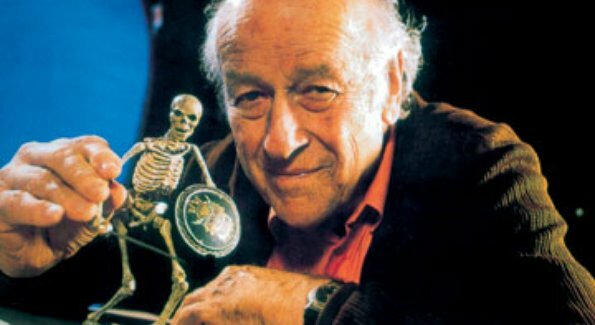 Harryhausen and one of his most iconic and celebrated creations, the reanimated skeleton warrior. With this list I hope to showcase Harryhausen’s extraordinary talent and his miraculous manipulation of models, puppets, and stop-motion animation to create vividly realized scenes of the fantastic.